The photographs suggest the activity of their creation. Image size: 39 x 28¾"; paper size: 47 x 35¾". Edition 15. Image size: 39 x 27¾"; paper size: 47 x 34¾". Edition 15. Photogravure on gampi paper chine collé. Color photogravure on gampi paper chine colle. Image size: 23½ x 19¾"; paper size: 32¾ x 27¾". Edition 15. Image size: 23½ x 19¼"; paper size: 32½ x 27½". Edition 15. Image size: 16 x 20½"; paper size: 22¾ x 26½". Edition 15. Chiara was born in 1971, in San Francisco, with a large benign tumor under his chin which could not be removed until he was a teenager. He said, “Anybody I’d meet from the time I was really little to age fifteen, it’d take them two weeks to get over it. I feel like my camera’s sort of like that – it’s just a really dramatic imperfection.” When Chiara was seven years old, his father, a photographer, gave him his first camera. He grew up in and around his father’s darkroom, and childhood memories are part of his work. For instance, he often photographs hillsides that remind him of the one he grew up on in the suburbs east of San Francisco. He has an intense allergy to nostalgia, however. His complicated process is no more complicated than what he feels is necessary to keep memories from getting rosier over time. Chiara earned a B.F.A. in photography at the University of Utah in 1994, and he worked steadily to figure out what kind of photographer he wanted to be. It was during graduate school at the California College of the Arts in 2004 that he built his giant camera. When he was finished, he realized he had inadvertently reinvented the daguerreotype camera, but it gives him a customized space in the photographic tradition, so the result suits him. 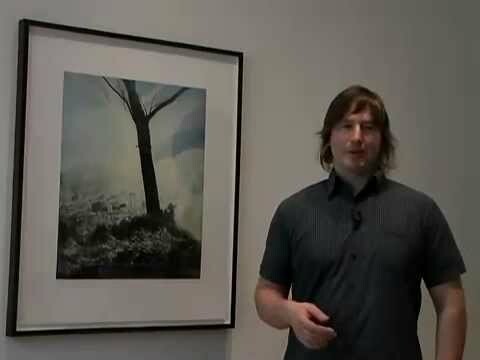 In 2006, Chiara produced a photogravure project with Crown Point Press and in 2016 returned to the press where he made four photogravure prints from large photographic positives and negatives. John Chiara’s work is in the permanent collections of the National Gallery of Art, Washington, D.C.; Pilara Foundation, Pier 24 Photography, San Francisco, C.A. ; J. Paul Getty Museum, Los Angeles, C.A. ; Haggerty Museum of Art, Milwaukee, W.I. ; and Los Angeles County Museum of Art, C.A. His work is the subject of a forthcoming monograph to be published by Aperture. He is represented by Haines Gallery, San Francisco, and Yossi Milo Gallery, New York. 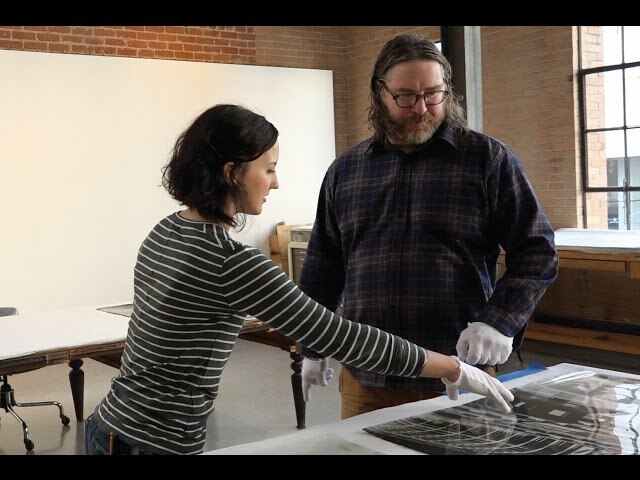 Watch John Chiara in the Crown Point studio at work on his second photogravure project. Artist John Chiara discusses printmaking and his photographic process at Crown Point Press in San Francisco, 2006.